Wish the clog or leak in your drainage pipes would just disappear? 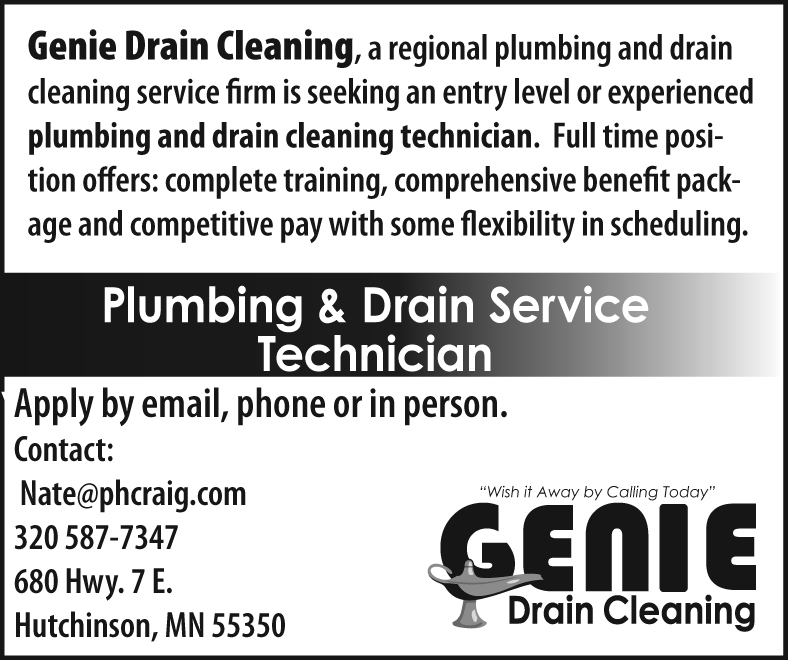 At Genie Drain Cleaning, we can grant that wish, while providing you with professional service and reasonable prices. Our specialized technicians are experts at repairing and cleaning sewers and drains. Genie Drain Cleaning is a division of Plumbing and Heating by Craig, which means that you also have a full staff of plumbing and heating experts at your service. Genie Drain Cleaning can grant you three wishes: Upfront pricing with no hidden charges, a full line of drain treatments, and sewer line location services. But why stop there? Genie Drain Cleaning also offers high-powered water jetting of sewer lines (hydrojetting), maintenance contracts, and drain line inspection. At Genie Drain Cleaning, we have a special camera that lets you visually inspect underground sewer lines and piping, to make sure they are clean and clog-free. Why take our word for it, when you can see it for yourself? Our video inspection technology also allows us to quickly pinpoint trouble spots. Drain line inspections help determine the condition of the pipe, locating any leaking joints, corrosion, root infiltration, cracks, or other potential problems. Our services aren’t magic, but they might as well be. At Genie Drain Cleaning, we use environmentally-safe products and methods to make your drains and sewers as good as new. We enjoy doing residential, commercial, and agricultural drain repair work. No job is too big or too small! Our happy customers come from cities and towns all over the west metro area, including Hutchinson, Cokato, Glencoe, Waconia, Dassel, Silver Lake Victoria, Winsted, Lester Prairie, Mayer, and the surrounding area. We take great pride in our work, making sure to provide a clean work environment and high quality services. 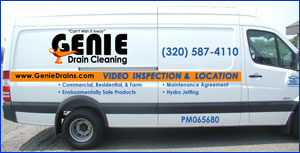 Give Genie Drain Cleaning a call today. We guarantee your satisfaction, and we’re looking forward to serving you! We guarantee your satisfaction, and we’re looking forward to serving you! Copyright © 2019 Genie Drain Cleaning. All rights reserved.